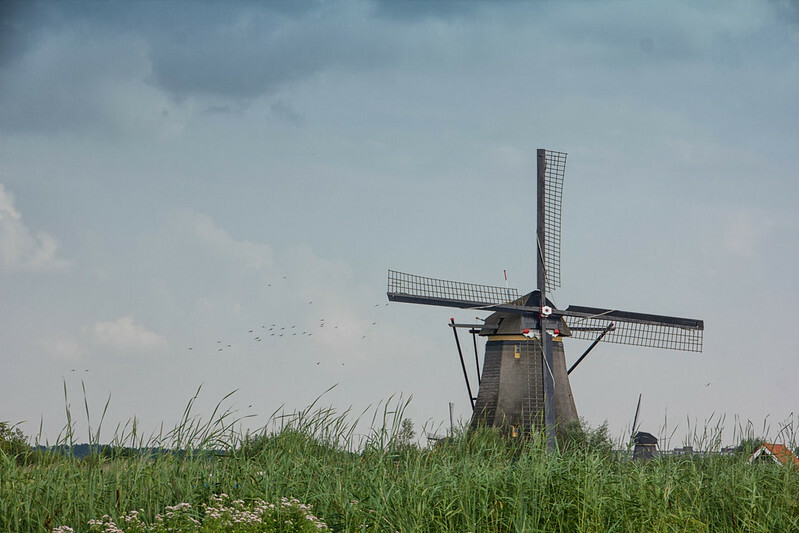 A couple years ago while driving from Amsterdam to Luxembourg I did what I always do when driving long distances: figured out detours to stretch my legs. 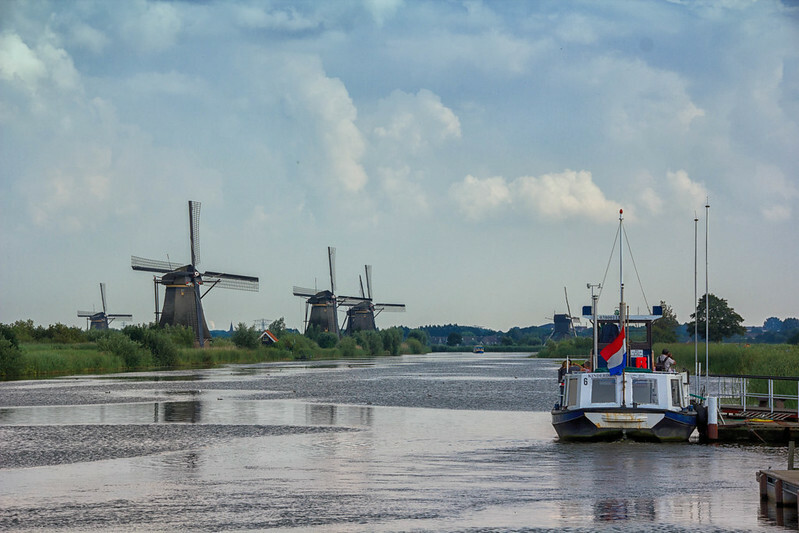 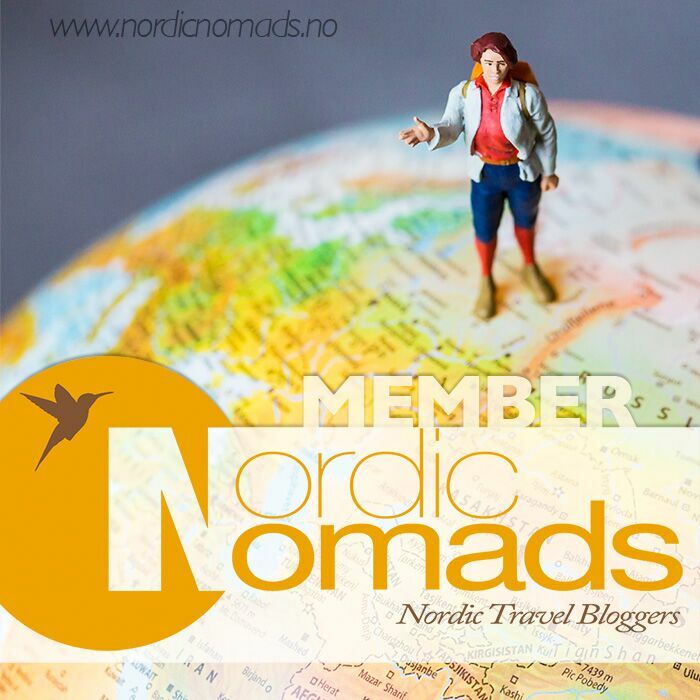 I collect UNESCO world heritage sites and noticed one that would be right on my way, a little East of Rotterdam, and soon I was driving along a small road to Kinderdijk, my chosen detour of the day. 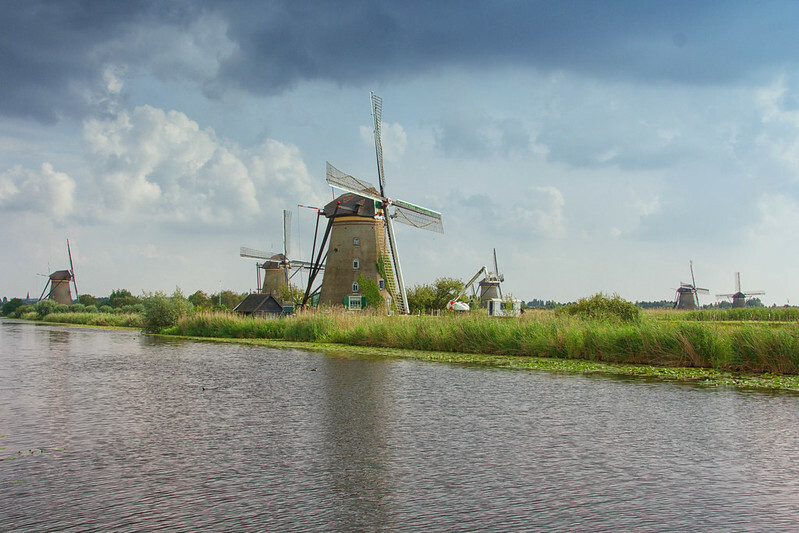 Kinderdijk Windmills were built in the 18th century to pump water out of the polder, when Holland was in the process of reclaiming land for farming. 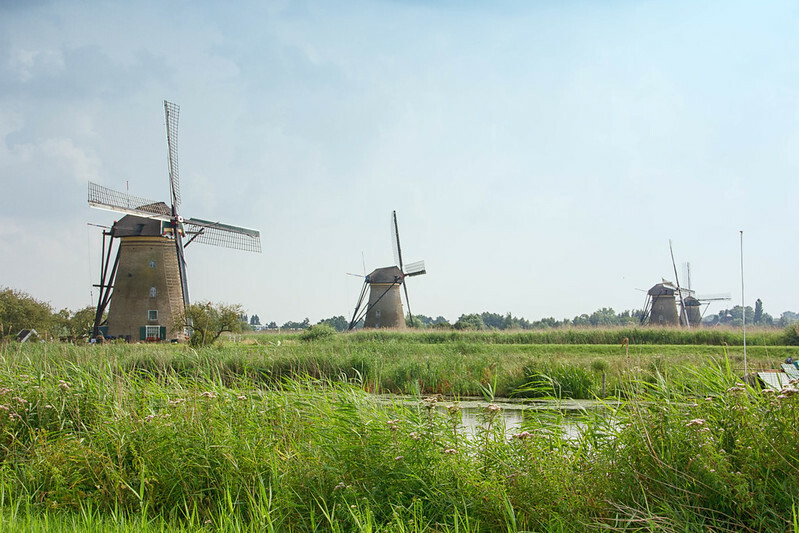 Now a more modern system has replaced the windmills in daily use, but they can be still used as a backup. 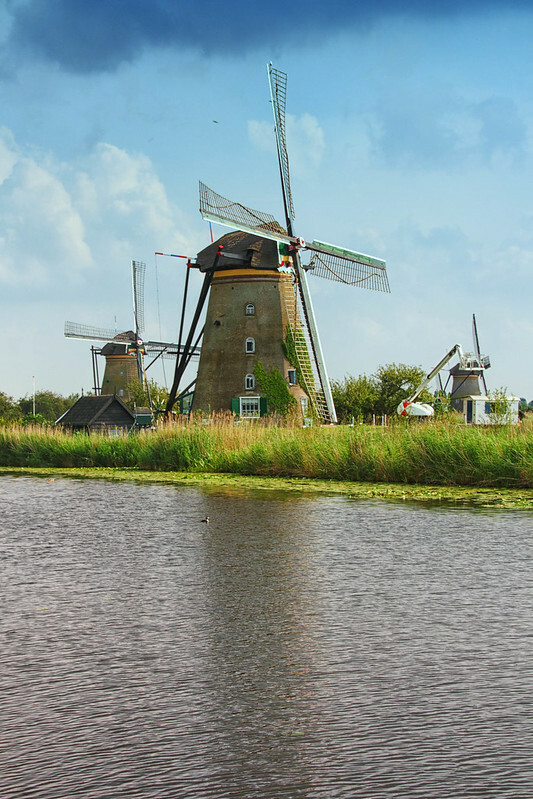 19 beautiful old windmills adorn the sides of canals, and I really enjoyed taking a short walk among them. 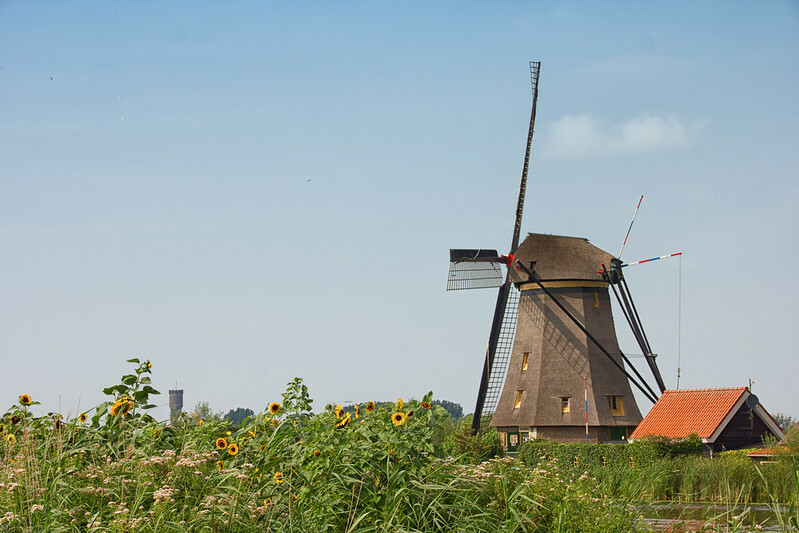 There is also a free museum which gave insight into the engineering of the windmills, and a cafe where I got a cup of tea before continuing on my drive. 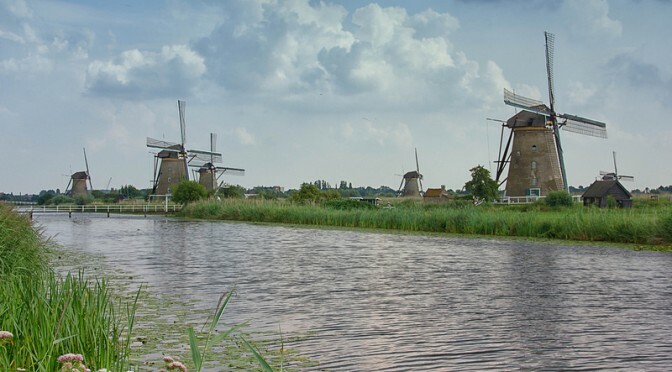 Kinderdijk is one of Holland’s two famous areas where you can view old windmills. 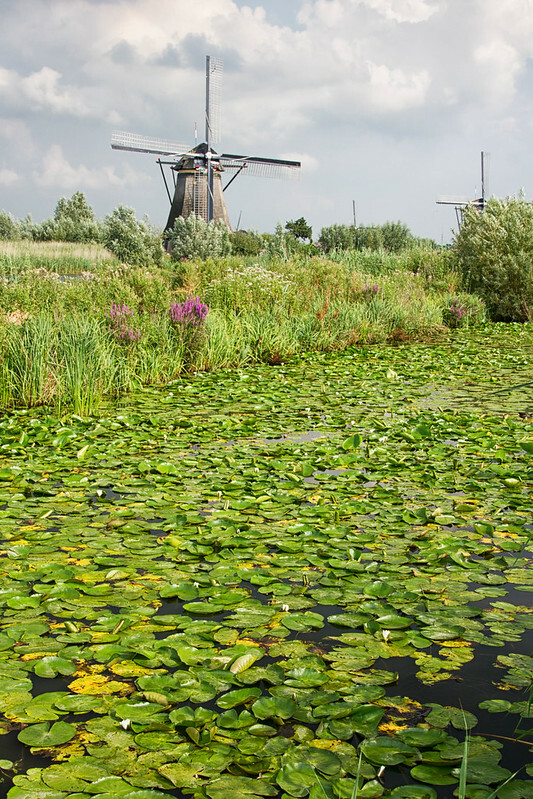 The other one is Zaanse Schans, close to Amsterdam. 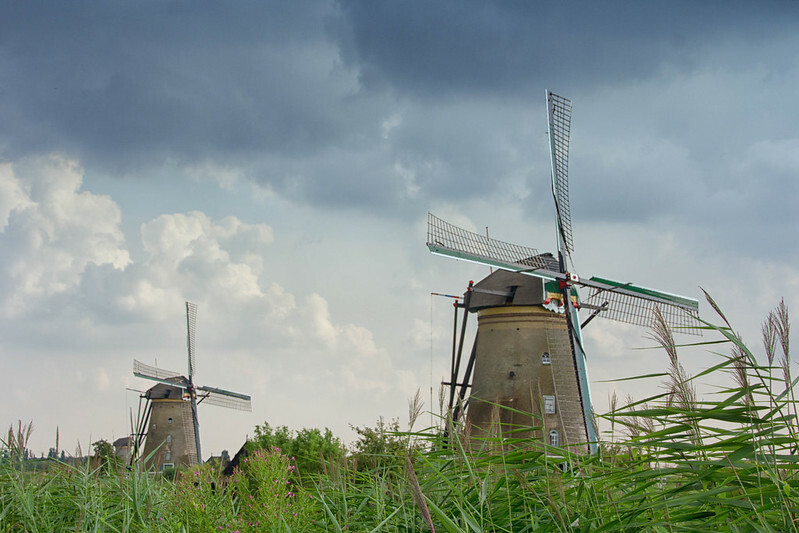 Both are worth the drive if you enjoy these testaments to the history of Netherlands. 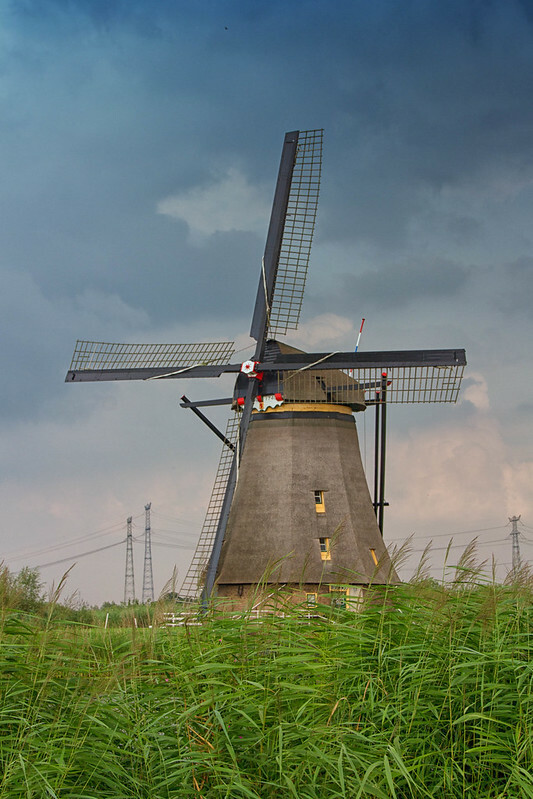 These windmills are beautiful, the old architecture of them makes them seem like they have been around for a long time.